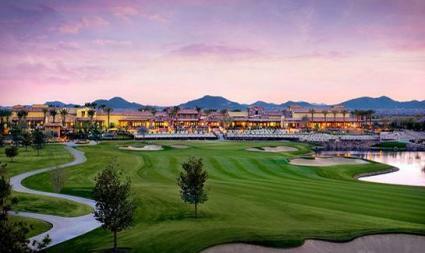 Encanterra Country Club by Shea Homes, San Tan Valley, AZ. Most of the best gated retirement communities are located in coastal or southern states. 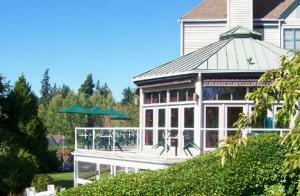 In some areas, such as Oregon and Washington, there are a number of top retirement communities, but few are gated. This may be due to the relative safety of the surrounding areas. Northern states have a paucity of notable gated retirement communities, likely because retirees tend to seek mild weather. The Encanterra Country Club in San Tan Valley, Arizona is an upscale and relatively expensive community marketed to those interested in a golfing lifestyle. Its golf course, which was designed by Tom Lehman, has won a number of awards from various golfing organizations and periodicals. This community also has a dining facility, tennis, fitness center, day spa, and club house, among many other facilities and activities. 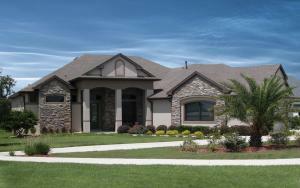 This community has a variety of homes from $100 thousand to $750 thousand. 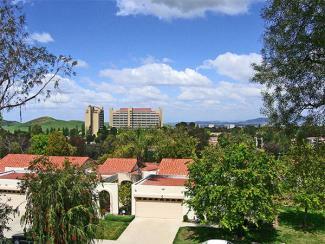 Laguna Woods Village is the largest gated retirement community in California. In addition to the usual golf course, this facility consists of three levels of senior housing: single-family homes, cooperative one and two-bedroom condos, and tower apartments with a dining room and other amenities that can be added for seniors with greater needs. There are multiple clubhouses, a theater, and a specialized craft facility. The local senior center, located just outside the gated community in the City of Laguna Woods, offers low-cost or free congregate meals. Residents consistently give this community high marks despite its size. In 2014, an article in the Orange County Register noted that the active community makes this the ideal home for many seniors. Prices range from the low $100 thousands to the $900 thousands. Rossmoor, in Walnut Creek, California, features an NCGA-rated golf course, plus many other sports and fitness activities, including swimming, tennis, lawn bowling, bocce, and others. It is near stops for the Bay Area's renowned BART transportation system. It also features a full-service restaurant and bar on the property. An article in the Contra Costa Times celebrating the community's fiftieth anniversary cites features that make it both outstanding and reasonably affordable by Bay Area standards. The community provides many housing options and prices range widely from the low $200 thousands to between $1 and $2 million. Sun River, situated in Southern Utah in St. George, is a retirement community with several gated sections. It consists of single family homes, some for resale and some new, ranging from the high $100 thousands to the high $700 thousands. Nestled in the red rock environment of St. George, it features hot summers and relatively mild winters. It features an 18-hole golf course, a woodworking shop, a craft shop, a ballroom, library, and many other amenities that appeal to seniors. It has recently won awards from the Home Builders Association of Utah and the National Association of Home Builders, among others. The Lakes of Mount Dora is a waterfront community that consists of 950 single-family homes, featuring New England-style architecture surrounded by man-made lakes. It was selected as a Top 50 Best Master-Planned Communities in the United States by Where To Retire Magazine. The new 18,000-square-foot clubhouse features a fitness center, game room, arts and crafts room, library and reading room, and locker rooms. In addition, residents have access to a large ballroom area suitable for social events. Prices range from the high $100 thousands to the low $400 thousands. The Landings on Skidaway Island in Savannah, Georgia has been named one of the "nation's best residential communities" by the Urban Land Institute, and "The Best Neighborhood to Live In" by Savannah Magazine readers. The surrounding landscape consists of sea marshes and moss-draped forests. In addition to multiple clubhouses, sport and fitness facilities, and social activities, the community has two deep-water marinas, making it ideal for boating enthusiasts. This community features attached single-family homes ranging from the high $100 thousands to low $200 thousands. Encore Atlantic Shores is a luxury community in Eastport, Long Island. It offers over 200 condos in the low $500 thousands to the low $700 thousands. An independent reviewer cites the country landscape, nearby beaches and parks and nearby upscale restaurants, as well to the price to benefit ratio in an area close to the priced Hamptons. 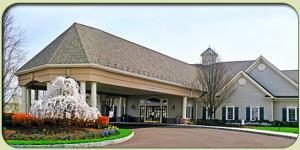 The community has a large clubhouse with a meeting room, hobby and game room, card room, library, and ballroom. In addition, there is a fitness center and indoor swimming pool. The Villages of Flowers Mill in Eastern Pennsylvania consists of single, twin and Villa homes ranging from the high $200 thousands to the low $400 thousands. The clubhouse has a heated indoor pool and sauna, which are a big plus in a northern climate. The clubhouse and grounds offer a variety of activities and facilities including tennis, a crafts studio, bocce court, and trails for walking or biking. In early 2015, the website Active Adult Living featured this community noting that it was especially appealing to baby boomers. This community has won several honors, including seven Pinnacle awards from the Montgomery and Bucks County Homebuilders Association, and an award from the National Association of Homebuilders. In a region of the United States with few gated communities, Providence Point in Issaquah, Washington is less than 20 miles from downtown Seattle. Residents have access to four community centers. In addition, there is an indoor pool, dance and Zumba studio, as well as a craft studio and a library. Many classes are offered in the community centers under the title of 'Communiversity.' This Communiversity is what sets Providence Point apart as a vital and active place for retirees. The natural setting provides many opportunities for outdoor activities. This community consists of attached condos running from the low $200 thousands to the high $300 thousands. Is a Gated Community Right for You? Are you happy to have all of your neighbors as seniors? Do you have a special interest, such as golf, tennis, running, arts and crafts, or theater, for which a you want the community to have programs and facilities? Do you want to live in close proximity with your neighbors? Do you need to be near major healthcare resources? If you answered yes, you might feel right at home in a gated retirement community.